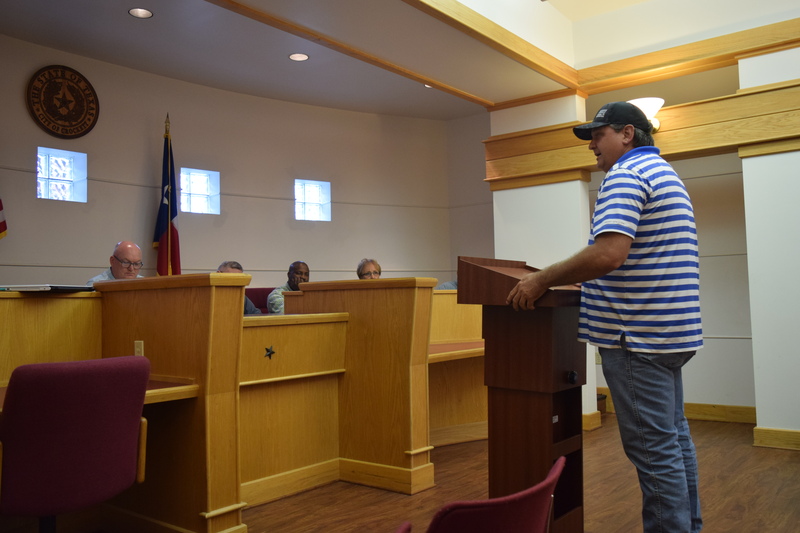 CROCKETT – During a meeting of the Crockett Economic and Industrial Development Corporation held on Monday, Sept. 22, Serenity Place owner Chris Brown was a no-show after he cited concerns for his safety. Pastor Darrell Bennett, the Chairman of the Advisory Board for Serenity Place, made the announcement of Brown’s concerns during the public forum portion of the meeting. “I was asked to come here tonight because Mr. Brown is unable to be here. They (Brown and his wife Wanda) felt that they would not be safe coming here tonight,” Bennett said. He explained he had ministered at Serenity Place for the last year and felt the Browns were doing a good job. “I believe it’s a great program. We have impacted a lot of lives. If you have ever had a chance to be around those kids, they would touch your heart. Those kids need the citizens of Crockett. They need our church and everyone here to support them. On behalf of Mr. and Mrs. Brown, they just didn’t feel safe being here tonight,” Bennett re-emphasized. The pastor was asked by Crockett City Councilman Darrell Jones who the Browns should be worried about. 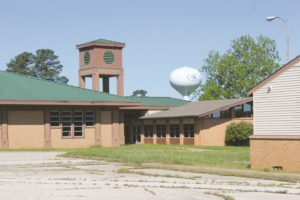 The safety concerns were possibly based on a text in which Brown announced the facility would be closing in the very near future. Ironically, an October 2016 press release from the Crockett Police Department stated Serenity Place was under investigation on charges of abuse and/or neglect. In essence, Brown was afraid of the very employees he had hired to take care of at-risk children placed under his care at Serenity Place. As the meeting continued, CEIDC Board of Directors President Ansel Bradshaw addressed the performance agreement between the CEIDC and Serenity Place. “Mr. Brown was supposed to be here at this meeting. As president of this board, I am extremely disappointed he chose not to attend. This is the third meeting in a row Mr. Brown has chosen not to attend,” Bradshaw said. The board president said Brown had been asked to provide the CEIDC board with an annual review of the facility’s payroll. “He did not do so. The report we received – sometime after that – was unacceptable. If you read the report, it showed either 132 or 133 employees at Serenity Place. All it had was a first initial, a last name and a date outside of that – assuming that was their hire date. We did not accept that and I know there are not 132 or 133 employees at Serenity Place,” he said. Next, Bradshaw specifically asked CEIDC Executive Director James Gentry if the facility was still open. Gentry replied it was his understanding there was to be a two or three week moratorium at the facility while an outside official reviewed the operational procedures of the organization. “With that intent, there was a plan to re-certify the facility for future use. In terms of that, he (Brown) said he was trying to maintain as many employees at this site or at another site and to move the children to other sites,” he said. Bradshaw asked again if the facility was closed and Gentry replied it was still open as far as he knew. The CEIDC board president re-directed the conversation and added the agenda item being discussed concerned the performance agreement between the CEIDC and Serenity. “I reiterate it is very disappointing the Browns are not here. Also, based on the information received this evening that when the last 12 kids leave the facility, that facility will become inoperable or not n operation. Then, they are in violation of their performance agreement that they signed with the CEIDC,” Bradshaw explained. 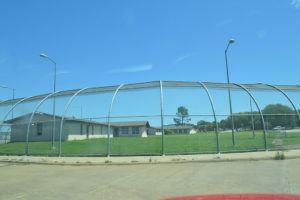 He further said Serenity had received $200,000 in incentives to locate a facility in Crockett but the agreement stipulated if the facility was not in operation after July 31, the organization would owe the CEIDC $60,000. Bradshaw said Brown would like to meet with the CEIDC board in a non-public, non-disclosed location. Because the CEIDC receives tax dollars, it is considered a public entity and by law is required to post the meeting agenda, date and place of the meeting. “Mr. Brown needs to understand he was afforded the opportunity to come here and do business in the city of Crockett. He was given $200,000 and he has chosen not to appear in front of this board, three consecutive times and that is not a good business practice,” Bradshaw said. A motion was made, seconded and approved not to approve the performance agreement with Serenity Place.